perfect place to record your sentiments. You can personalise this guestbook with any message over 5 lines of text up to 20 characters per line. All personalisation is case sensitive and will appear as entered. 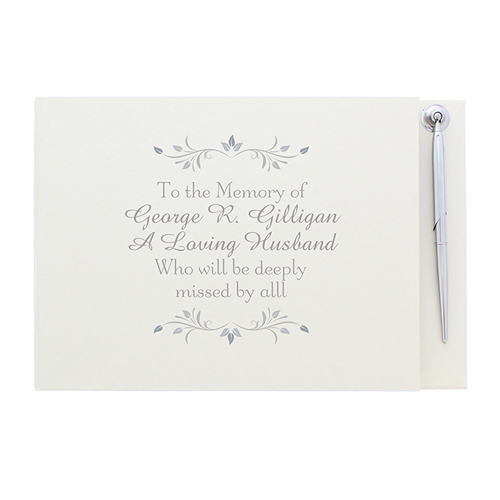 Personalise this guestbook with any message over 5 lines of text up to 20 characters per line.